I know that most of you are suffering through freezing temperatures so I thought you could use a little cheering up with a freebie. 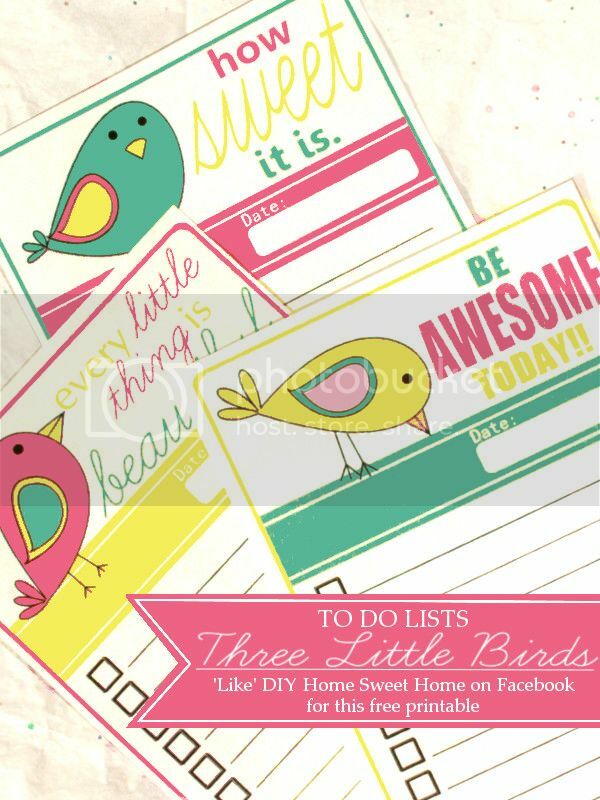 'Three Little Birds' to do list. 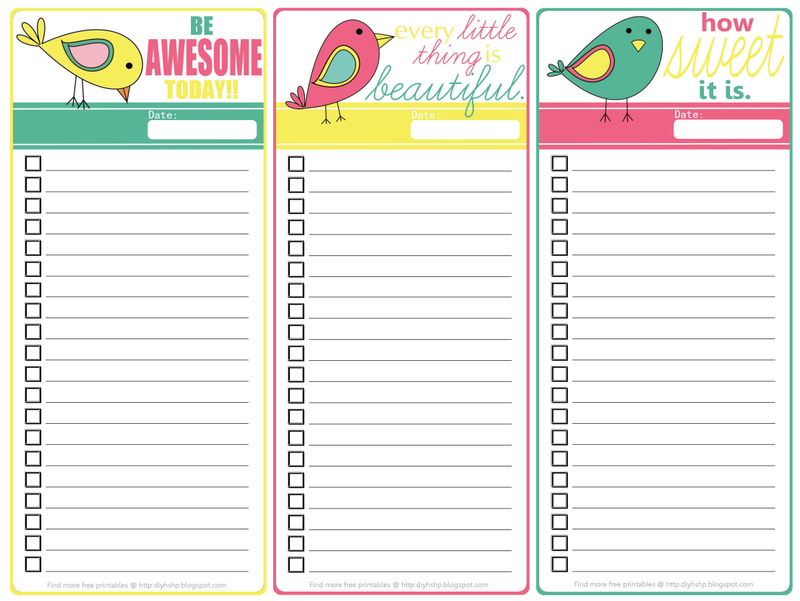 To get this freebie 'Like' DIY Home Sweet Home on Facebook then click on the FREEBIE tab (on the Facebook page).